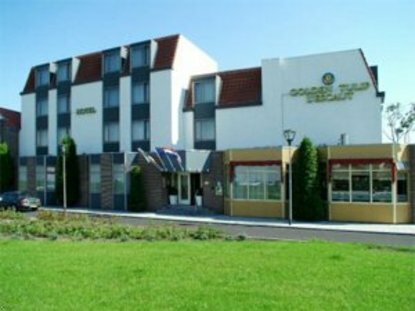 Golden Tulip L'Escaut is a luxurious 4-star hotel, situated at the Westerschelde waterway and the estuary of the Ghent-Terneuzen canal. Here you are close to Belgium, as you will soon discover, due to the undeniable Flemish hospitality. For pure relaxation we suggest walking and cycling tours in to the beautiful surrounding area of Zealand or step across the border and visit Ghent, Bruges or Antwerp. These cities are three of the most attractive ones in Northern Europe. Our staff will gladly give you all information you need. *There is a breakfast buffet: EUR 15,00 a person.